Many people tell me they would like to come to Turkey one day so I thought to post about traveling to Turkey easily and without being expensive, you will love it! In restaurants, the main courses are from £4, a soft drink is £1.20, and a glass of wine or large beer £2. 1. Book your flights early and compare different options: direct flights or one stop. If you choose indirect flight because it is much cheaper, you can consider also to stay one or two days in the city where you do the flight connection. It could be a really nice city to visit and it will be much better experience than waiting a few hours in the airport. 2.You can come to Turkey as a couple and it's cheap but you get the best prices as four people. It would be more fun and saves more money. It has two bedrooms, is fully air conditioned and equipped and a sizeable 70 sq Metres. 3.There are small buses known as a dolmus which regularly stop at the site and travel to neighbouring villages for a small sum and to Bodrum for just £2. 4.For those that like to drive, car hire is cheap and saves you £40 on a return airport transfer by taxi. renting a car for a week from Bodrum airport costs around £95, so you will be looking to pay £25 per person! Having a car is not essential, but allows you to stop to see all the sites whenever you want and the views are amazing in the Bodrum Peninsula. You can visit Bodrum and many fishing villages. Hiring a car will is much better value than paying for excursions and taxis. 5.Lakeside Gardens apartments are just 15 minutes from Bodrum airport and from here you can flight to Istanbul from only £20, the flight takes just 40 minutes. Will you miss the chance to see this fantastic city for this price? The night stay in a nice budget hotel in Istanbul is around £45. From Bodrum a ferry to Kos takes just 20 minutes and costs only £18 return or to Rhodes for under £50! Turkey is stunning! Thanks for sharing these tips :) I hope I get around to visiting it soon! Interesting post, I love Turkey!!! OMG Turkey is magic. Beautiful trip. Yeah, I would love to visit Turkey if I had the chance! Great post and thx for sharing these tips. Viajar me encanta y se nota que a ti también! Sigue descubriendo mundo que es genial! Te espero en mi ultimo post, http://blancaancosta.blogs.elle.es/2015/05/10/un-no-parar-y-bardenas-reales/, en el que hablamos de las Bardenas Reales y os muestro un look1 No faltes! Besos! Wonderful trip, love it ! Looks like a wonderful place to visit! Beautiful impressions of it! These are such marvelous tips! 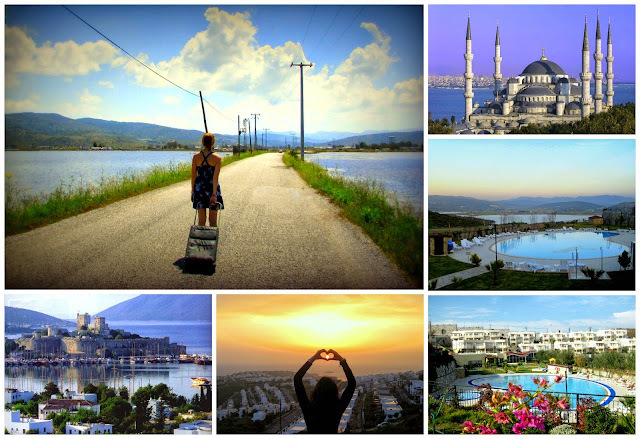 Turkey is high on my list of travel destinations, thanks so much for these tips! What an amazing trip! I've heard Turkey is beautiful! Thanks for the great tips!! Great photos!! These are great tips! Something to keep in mind when I want to travel after the wedding! I wish I could visit Turkey. Just look at the beauty from your photos. Stunning. I enjoyed reading this post. I love Turkey, I have been to this country 5 times. great tips! I had a friend who went to Turkey on a fellowship before graduate school and she absolutely loved it there! It looks so beautiful and she said the people were so very friendly. Absolutely love everything about Turkey! The food there is one of my faves! nice! thanks for sharing these tips! Wow great tips, thanks for sharing! great pics and places! Thanks for the tips!! wow! this is helpful, thanks for the tips! My trip to Turkey was one of the best in my life. I'd definitely want to visit again. Es que de verdad me encanta! igual que tu, te sigo ahora. You likely still stress each time you thoroughly consider pressing up your home. Along these lines, to enable you to diminish your worry amid a move, look at these valuable tips and recommendations to guarantee your turn is as quiet and peaceful as it can be.